August 12th is the final 2015 Concert in the Park at Newcastle’s Lake Boren Park. This is a FREE community event with Soul Purpose (Soul and Classic Rock) putting on a great show from 7-8:30pm. Weather should be lovely and the forecast is calling for mostly sunny and 89 degrees! 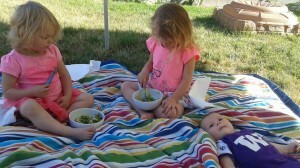 Bring a healthy picnic salad, lots of water and your picnic blanket. With the Cummins kids hopefully not wound up too much and Dr. Cummins hopefully wound down with patients before then … we hope to see you there!